Zenger, publisher of a colonial newspaper called the New York Weekly Journal, was arrested in October 1734 on charge of “seditious libel” for printing criticism of the colony’s royal governor, William Cosby. 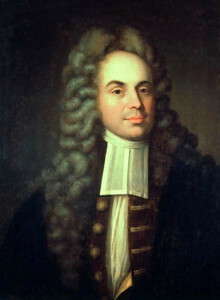 Lawyer Andrew Hamilton defended Zenger at trial in 1735, securing his acquittal on the grounds that the truth can never be deemed libelous. The decision was an American milestone in the principle of freedom of the press and figured as a precedent for the First Amendment to the U.S. Constitution.